The law. A perfect country for old men. When they were young bucks in the 70s, Richard Posner and Antonin Scalia rode together—both teaching law at the University of Chicago. Then they went on to bigger things. Scalia, 76, sits on the Supreme Court and preaches the legal gospel of textual originalism. Posner, 73, is merely a federal appellate judge in Chicago, but posterity is likely to remember him as the more important jurist; his opinions are anthologized in law school casebooks more frequently than the opinions of any other living judge on any court. 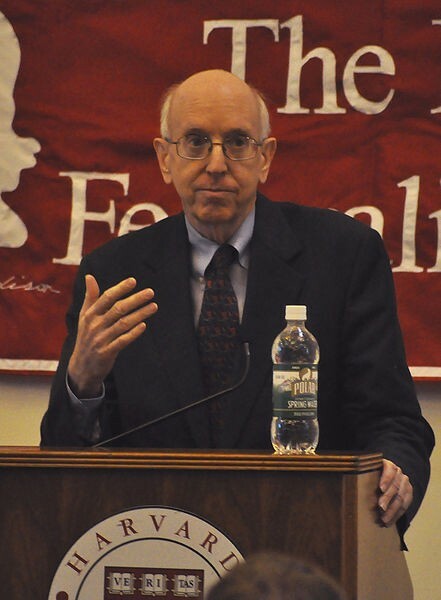 A pragmatist known for applying a cost-benefit analysis to the law, Posner considers himself the preeminent legal intellectual of his time. Scalia would not agree, but in not agreeing, Scalia would not enjoy a lot of company. In June, Scalia produced a new book, Reading Law: The Interpretation of Legal Text, which he wrote with Bryan A. Garner, a lawyer who's the editor in chief of Black's Law Dictionary. Reading Law touts 57 "canons of construction," or principles by which judges should interpret laws, and notes in passing that Posner doesn't think much of them, calling the canons "vacuous and inconsistent," and mere "fig leafs for decisions reached on other grounds." If you want to insult a Supreme Court justice, accuse him of grinding an ax and calling it principle. Scalia answers back. (We'll leave Garner out of this discussion.) His book accuses Posner not merely of "glibly disparaging the canons" but of "odious cynicism to all those" who use them. Scalia had had a good taste of Posner's "odious cynicism" in 2008, when Posner wrote a long essay for the New Republic trashing Scalia's majority opinion in District of Columbia v. Heller, the historic case that overturned the ban on private ownership of pistols in Washington, D.C. "It is evidence," wrote Posner, "that the Supreme Court, in deciding constitutional cases, exercises a freewheeling discretion strongly flavored with ideology. . . . Scalia and his staff labored mightily to produce a long opinion (the majority opinion is almost 25,000 words long) that would convince, or perhaps just overwhelm, the doubters. The range of historical references in the majority opinion is breathtaking, but it is not evidence of disinterested historical inquiry. It is evidence of the ability of well-staffed courts to produce snow jobs." Last June Posner ridiculed Scalia for his dissent from the majority opinion in Arizona v. United States overturning much of Arizona's harsh immigration law. Writing for Slate, Posner called the dissent an "inflammatory" "peroration" bearing a strong odor of political calculation. 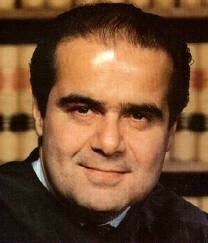 Scalia responded haughtily to Fox News: "He's a court of appeals judge, isn't he? He doesn't sit in judgment of my opinions as far as I'm concerned." This brings us to the latest. The most recent issue of the New Republic carries a review of Reading Law. The title of the piece is "The Incoherence of Antonin Scalia." The author is Posner. The review gathers in scorn as it proceeds. To begin with, says Posner, Reading Law distorts history to make textual originalism sound more central to American "judicial interpretation" than it ever actually was. When it gets to Brown v. Board of Education, both "the most esteemed judicial opinion in American history" and embarrassingly "unoriginalist," it lamely—in Posner's view—tries to argue that the authors of the Reconstruction-era 14th Amendment actually held to the proposition that "separate but equal is not equal." And Posner tells us that Reading Law is slyly written throughout: "Omitting contrary evidence turns out to be Scalia and Garner's favorite rhetorical device." Posner wonders, "How many readers of Scalia and Garner's massive tome will do what I have done—read the opinions cited in their footnotes and discover that in discussing the opinions they give distorted impressions of how judges actually interpret legal texts?" In short, Posner dismisses Reading Law as an exercise in slippery dissembling. He writes, "A problem that undermines their entire approach is the authors' lack of a consistent commitment to textual originalism. . . . In their variety and frequent ambiguity [their] 'canons' provide them with all the room needed to generate the outcome that favors Justice Scalia's strongly felt views on such matters as abortion, homosexuality, illegal immigration, states' rights, the death penalty, and guns." A prolific author of books and magazine articles, as well as judicial opinions professors dote on, Posner is never a viewpoint in want of a forum. Scalia is less fortunate. But when Posner struck, Ed Whalen, a frequent legal writer and former Scalia clerk, rushed to Scalia's defense on the National Review website. In a riposte posted in parts over several days (here, here, and here), Whalen called Posner's critique "remarkably slipshod and untrustworthy," as well as "baffling," "attention-grabbing," and "wildly irresponsible." He concluded: "Over the years, a number of appellate lawyers who follow the Seventh Circuit have conveyed to me their astonishment at how sloppy Posner is as a judge. I had a similar reaction to his badly flawed book about judging. Nonetheless, Posner clearly has somehow acquired a reputation that inclines folks to credit his judgments. "It is no small matter that Posner has abused his reputation to smear Scalia and Garner with his incendiary and ill-founded charge that they have broadly misrepresented the cases that they discuss. . . . Posner owes Scalia and Garner a prominent retraction and apology." It's said campus politics are so bitter because the stakes are so small. Here the stakes are the laws we live by. The bitterness holds its own. Richard Posner doesn't leave the bench quietly.